For those who are suffering from extreme pain in their body and can only find relief in cannabis, consuming high potent cannabis edibles may be the best way to go. An edible made from strong cannabis butter, also known as cannabutter, is the most convenient solution to treating body pains with cannabis. 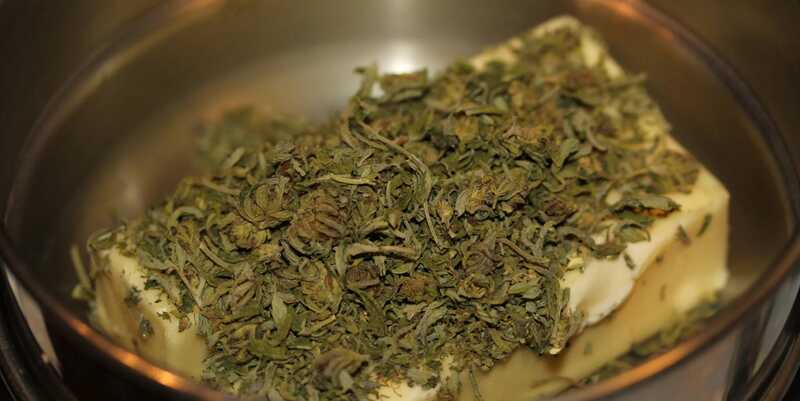 Although cannabutter is a popular ingredient for cannabis edibles, not all edibles require the use of cannabutter, and especially a high potent one. Knowing how to make high potent cannabutter is important for those who rely on cannabis edibles to treat body pains. Chop all the trimmings including the lower grade buds. You can use a sharp knife or a kitchen blender for this. Pour the 300 ml of water into your pot and once it’s warm enough, place the 250 grams salted butter to be melted. Next, add the raw materials. These are the cannabis blossoms and the trimmings that you have chopped. Let the mix simmer for up to 8 hours. If you want cannabutter with extreme potency, leave the butter to simmer for 24 hours! Finally, filter the mixture using cheesecloth or other material that’s capable of separating the raw material from the butter. Pour the liquid into your desired container and store it in the fridge. The recipe will help you produce cannabis butter with very high potency. It makes use of 28 grams of sugary cannabis bud leaves along with 14 grams of buds. The buds and trimmings used are a combination of two different strains. One is an indica dominant that has strong Afghani influences and another is cheese. The finished material has been cured in a mason jar for 14 days. Remember that there are many different methods and steps into preparing cannabis butter and there’s really no right or wrong recipe. Most of the cannabutter recipes have low to medium potency. But if you’re someone who relies on cannabis for your pain to go away, you might as well go for high potency. For those who simply want to relax or simply treat themselves to some edibles after a tough day, the weaker cannabutter should be fine. If this is the first time that you’re making your own cannabis butter, it may be a good idea to use substantially less raw material. You can experiment with less buds and trim and then you can increase or decrease later on depending on how you find it. If you find the result to be strong to your liking, then decrease the number of buds and trims. Otherwise, increase the number if you really want extremely high potent cannabis butter.